Greenwood Village, CO – January 10, 2017 – Payroll Vault Franchising, an emerging franchisor, announces its three newly awarded franchise locations that have joined our fast-expanding team! The new locations are located in Ohio, Texas, Florida. Each market fulfilling a growing trend and need for outsourced payroll services due to the many changes in regulations, making it difficult for many small businesses to maintain compliance. Florida is our newest emerging market! 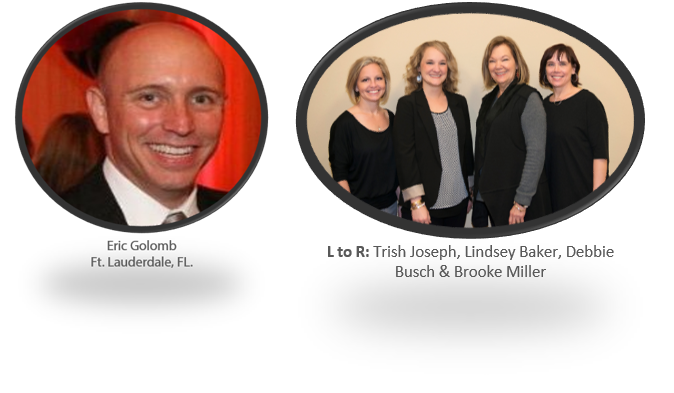 Please welcome Eric Golomb of Pembroke Pines, Florida, Robert Seibel of Cincinnati, Ohio, and Debbie Busch, Lindsey Baker, Dee Sandhop, Brooke Miller, and Trish Joseph of Baytown, Texas! Congratulations on your new business and welcome to the Payroll Vault Team! Payroll Vault Franchising has closed a successful fourth year, and now residing in 16 states with a total of 32 awarded locations. Headquartered in Greenwood Village, Colorado, Payroll Vault Franchising provides entrepreneurs the opportunity to start-up their own small business with the support of our team of experts. With decades of experience, we instruct our franchisees on small business best practices and providing superior payroll support. Since its launch in 2012, Payroll Vault Franchising has grown rapidly as clients realized the immense value of the service as a business. As a result, today Payroll Vault Franchising is recognized as a national leader in the industry. For more information, visit PayrollVaultFranchise.com.